Note: Individual hour requirements may vary. This course meets NCCP hours requirements for both the National and State/Local Components for the NREMT. Online VILT (F5) hours are counted the same as In-Person hours towards these requirements. You can sign up for additional hours here. Because the course is completed using "real-time" instructor-to-student interaction, there is no need to physically attend class in order to recertify. This course will enable you to renew your NREMT in the convenience of your own home. All lectures are completed entirely online. Additional course work is also available for your review immediately upon enrollment and after your class is completed. 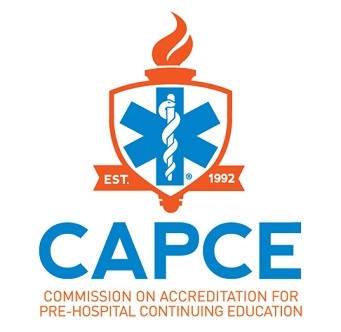 This is a CAPCE Accredited (F5) Paramedic Refresher course. All course hours count the same as "in-person class hours." 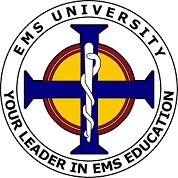 This 60 Hour, Online Paramedic Refresher class is completed through the use of Virtual Instructor Led Training (VILT) and meets National Registry of Emergency Medical Technicians (NREMT) guidelines to recertify as a Paramedic. This course is approved by the Commission on Accreditation for Pre-Hospital Continuing Education (CAPCE) approved course and designated as (F5 Refresher Training). This course follows the U.S. Department of Transportation (DOT) National Standard Curriculum for Paramedic Refresher (2009). Students are trained according to the standards outlined above. Students who successfully pass the course, will be issued certification identifying the number of hours obtained for training for the use of re-registration as a Paramedic.